I've pulled together a list of homesteading resources from my site and around the internet featuring herbalism, food preservation, gardening, local food, natural health, homestead animals, homemaking, preparedness and more. Note: I am an affiliate of some of these companies, which means that I receive a small payment if you purchase from the site through my link at no extra cost to you. Thank you. Recipes to Nourish – Real food and holistic health. Herb and Spice Blend Recipe Cheat Sheet – never buy another spice mix again. Buy in bulk, mix your own and save money. Simply Canning – All things canning and home food preservation related. SB Canning – Excellent site for all things canning, plus some other food preservation techniques. 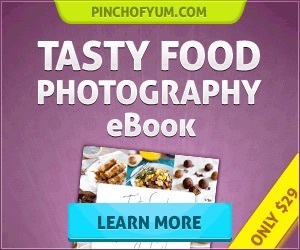 Creative recipes, how-to's, great photos – wonderful stuff! Food in Jars – blog about canning and preserving. Traditional Cooking School by GNOWFGLINS e-courses and e-books – Wardeh is my “go to” person for cultured dairy, sourdough, and fermented foods. She has a ton of information on cooking healthy, traditional foods. UNFI – United Natural Foods – UNFI is the leading independent national distributor of natural, organic and specialty foods and related products including nutritional supplements, personal care items and organic produce, in the United States. Country Life Natural Foods – Country Life Natural Foods is a wholesale and retail distributor of natural, organic and vegetarian foods as well as a resource for information that promotes physical, mental and spiritual health. Thrive Market – Thrive Market is a membership-based online shopping club that gives you and your family unlimited access to the the world’s best wholesome foods and products in everyday sizes at wholesale prices. Plus, they offer free nationwide delivery on orders over $49. FREE 30 day trial membership. Frontier Natural Products Co-op – Frontier Natural Products Co-op specializes in natural and organic products. They feature a wide variety of organic herbs and spices. The Herbal Academy offers several online courses and e-books for beginning to advanced herbalists. The intention for this self study program is to give students with little or no herbal experience a glimpse into the world of herbs. Make your own teas, tinctures, and body care products. You’ll be mixing up new recipes in the kitchen, using spices and herbs you never knew had medicinal properties! This is a 6 unit, online course. This program is intended for students with some herbal training, whether that be workshops, the Introductory Herbal Course or self study. This program will include intermediate topics such as safety and side effects; discussions about theory and energetics; in-depth coverage of physiology; and guidance for herbal formulation. This is a 10 unit, online course. Get access to complete and constantly updated herbal monographs, photographs, thoughtful articles, and educational podcasts, videos, tutorials, and teaching charts. As part of The Herbarium community, you will have all of these resources right at your fingertips, enriching your life-long journey through herbalism. The Herbarium membership is open to anyone at $45/year. Dave's Garden and Garden Watchdog – Dave's Garden is a large gardening community with info on all things gardening. The Garden Watchdog page offers customer reviews of 7,373 mail order gardening companies. GardenWeb – Online gardening community. The Old Farmer's Almanac Gardening page – best seed starting dates, best planting dates, plant guides, hardiness zone maps – lots of good reference info. Cold Stream Farms – Cold Stream Farm is a wholesale / retail bare root tree and shrub nursery in Michigan. Not fancy, but great prices and very good quality. Stark Bro's Nursery – Great variety of plants, plus a newsletter with growing tips and online planting guides. Raintree Nursery – Unusual edibles including fruit trees, nut trees, berries, vines, citrus, subtropicals, rootstocks, mushrooms and ornamentals. Grandpa's Orchard – Grandpa’s Orchard® nursery offers a huge selection of varieties of apple, pear, cherry, peach, nectarine, apricot, plums and prunes on a diverse selection of rootstocks— dwarf, semi-dwarf and semi-standard. We also offer rootstock for the hobbyist as well as other useful fruit growing products. Willis Orchards – A mail-order plant nursery located in Cartersville, Georgia that sells trees, bushes and plants. St. Lawrence Nurseries – Under new management for 2016, this company has been offering plants and trees for northern growers since 1981. Oikos Tree Crops – The most genetically diverse nursery I've found, but plants tend to run small, and almost all are seed grown. Fast-Growing-Trees.com had seaberries, which we couldn't find anywhere else. My Favorite Garden Seed Sources – plus tips for seed storage and germination. List of Animal Related posts on Common Sense Home – includes goats, chickens, geese and rabbits. sheep! Magazine – explores a wide range of sheep-related topics of interest to sheep growers and sheep product marketers at all levels of experience. Keeping a Family Cow message boards – active online discussion forum focused on all things family cow. Backyard chickens – BackYardChickens has become the #1 destination for peeps looking for information on raising chickens in any urban, suburban, or rural backyard! Hen House Plans by Chicken Coop Guides – 10+Chicken coop plans for every size and purpose, from small mobile coops to large combination coop/storage sheds. We also have an e-book titled, “Common Sense Home 101: 7 Steps to Become more Self-Reliant Now” that's available for download FREE to subscribers. Just sign up below or on the subscription page. Mother Earth News – MOTHER EARTH NEWS provides wide-ranging, expert editorial coverage of organic foods, country living, green transportation, renewable energy, natural health and green building. Rural Living Today has a great list of homesteading resources, and a homesteading blog. The Farmer's Garden – Members can search and post free classified ads to trade, sell or give-away excess homegrown produce, tools, gardening space or other gardening related items and activities with people in their local area. Food banks and individuals can also post wanted classifieds for surplus food, garden tool, gardening space, etc. EatLocalGrown.com – The eatlocalgrown project was created to help you Find, Rate and Share Locally Grown Food! There are categories for Farms, Farmers Markets, Grocery Stores/Co-ops, Restaurants, Artisans and more. Wisconsin Farm Fresh Atlases – These regional food guides include farms, farmers' markets, restaurants, stores and other businesses that sell local food and use sustainable production and business practices. The Atlases cover most regions of Wisconsin. Something Special From Wisconsin – Every dollar spent on SSfW™ products and services supports local farmers, food processors, entrepreneurs, our communities and livelihood, as well as the Wisconsin way of life. It is not only an investment in the state's economy but in its future. You can be guaranteed that when you see the trademark logo, at least 50% of a product's ingredients, production, or processing activities are from Wisconsin. Wisconsin Distilleries Association – In 2011 several of Wisconsin’s distillers formed this association to promote Wisconsin made spirits. Related issues we also promote include; Wisconsin agriculture, tourism, small batch distilling and the safe enjoyment of alcoholic beverages. Wisconsin Specialty Meats map – Specialty meat producers in Wisconsin. Nami Moon Farms – Pasture Raised Meats, honey, vegetables, eggs and more. Located in Custer, WI. The “Common Sense Health:Diet, Detox and Physical Activities” e-book is a hype free, “back to basics” toolbox to give you ideas to help you improve your health. No big investment or complicated format, just start where you are with what you have. Earth Clinic – From their site: “full of effective, home-tested, and community-vetted remedies and cures proven through years on this site and in the homes of commonsense families for centuries.” – commonsense families – gotta love that! Heal Thyself – This is a great online community that promotes knowledge sharing and healing through traditional foods. The Natural Living Site – information about traditional foods, herbs, natural living skills, homesteading, animals, alternative healing and spirituality. Food As Medicine -Todd Caldecott, a medical herbalist and practitioner of Ayurveda shares insights for using food to promote healing. Acres USA – Organic and sustainable farming info. Great magazine, plus excellent book store of hard to find titles. MOSES – Midwest Organic & Sustainable Education Services – The Midwest Organic and Sustainable Education Service (MOSES) is a nonprofit organization based in Spring Valley, Wis. We promote organic and sustainable agriculture by providing the education, resources and expertise farmers need to succeed. 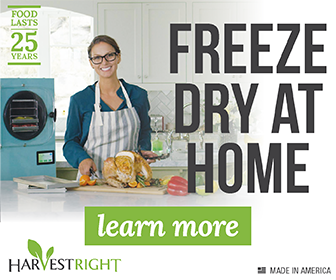 Valley Food Storage is one of the few emergency food storage sites that offers storage food made with ingredients that you'd be likely to use if you were cooking from scratch – no heavy duty preservatives or artificial anything. Their products are non-GMO and MSG free, and they have gluten free options. They also offer emergency supplies, camping supplies and water storage and filtration options. Emergency Essentials carries a full line of preparedness products at some of the best prices I have found. They also have monthly specials, so it pays to check back regularly. For my website hosting, I'm currently using LiquidWeb, and have been very happy with them. Disclosure: Some of the links on this site are “affiliate links”, which means that if you purchase an item after clicking on the link, I receive an affiliate commission. I only post links to products/companies that I believe in. If I wouldn’t use it for my family, I wouldn’t recommend it for yours. I hope you find these resources as useful as I have, and appreciate all those who have shopped through my site. As you can probably guess, the funds go towards homeschooling and homesteading books, garden seeds, website costs, and all the other odds and ends that keep us going. Thanks for letting me know, Jill. I have a quick question. My lot that I purchased allows is A-3 (wisconsin) and we are allowed 2 farm animals. Typically and I will follow up with the county before hand, Do they consider a turkey the same as a horse or a goat the same as a cow? Just wondering if you may know something I might not. I have researched the zoning ordinances and have found nothing. Just wondering if they are taking the wieght of the animal into consideration? If you’re neighbors aren’t jerks and won’t report you, I’d get whatever you want (within reason). If you want to follow the ordinances, I’d check with your local zoning board for specifics. I’m on our zoning board, and we don’t have anything like that on the books. It’s either animals allowed or no animals, not just two animals. Laurie and all, I am the sole proprietor of the site, Miniature-Cattle.com. This site is a free, comprehensive resource packed with well-researched information to help anyone who is fairly new to owning cattle; either miniature cattle, or other breeds of cattle that work well on homesteads. I am a retired rancher from Montana, and have owned, bred (bulls & A.I.) and raised cattle on farms and ranches my whole life. Along with my lifetime of experience, a degree in beef cattle with post grad emphasis on genetics, I have also spent years compiling a lot of special and useful information just for this website; for those who want to own cattle on a small acreage, and don’t have time to do the research. I have lots of resources, graphs, charts, tables, lists, directories, classified ads, and anything else you can think of, to get started (plus lots more to come). Welcome and enjoy.